Their name has been linked with the Metalcore eruption in the middle of the last decade, with records that have defined the genre. Bullet For My Valentine are one of the biggest metal bands that United Kingdom has offered to the music scene the past 20 years. However, their fame was not limited in the European borders. 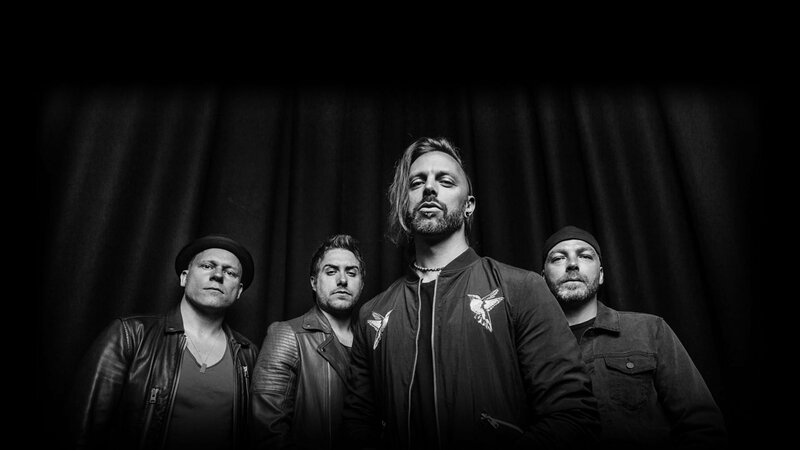 With million sales in the United States (and 10 million worldwide), and three albums that toped Billboard 200 charts, the band from Walles strikes sold out performances with songs that aremilestones for modern metal. Your Betrayal, Tears Don’t Fall, Scream Aim Fire, 4 Words (To Choke Upon), are just a few songs that have characterized a whole generation of hard sound. This April we will get to see Bullet For My Valentine perform live in Greece, in their first headline performances. Bullet For My Valentine is not just a band that lives of its former glories. Every album comes with new, fresh sound and with brand new elements. Their new album, Gravity, has more electronic elements, always though respecting their favourite electric sound! Every live performance by them is a metal party and this time, we are all invited!